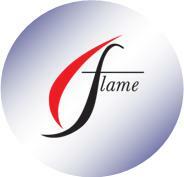 Flame Trust invites you to make St James’ House, Trinity Road, Dudley the venue for your next meeting. Competitively priced, yet located in the heart of Dudley, St James’ House offers a flexible space for meetings of up to 60 people. 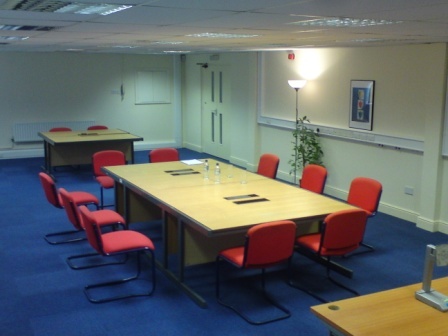 The Trinity Room (right) is suitable for theatre style presentations and workshop formats. An adjoining kitchen (available at a small supplement) allows flexibility for catering arrangements. Four nearby large car parks - all within walking distance - provide ample space for those attending (click here for location map and nearby car parks). “I am regularly asked about the location of suitable meeting spaces in the centre of Dudley and find they are few and far between. The Trinity Room at St James’ House offers a cost effective solution to charities and other organisations - and we look forward to giving them a warm welcome”.